Course on ATEX installation and maintenance equipment. Referential IsmATEX Level 1E. ATEX training required. The next 11, 18 and 19 November of 2015 Mr. Llorenç Gali, manager of Gali group, will teach a course based on the IsmATEX reference of the notified system INERIS in the Training Centre ESEC in Sabadell (Barcelona). 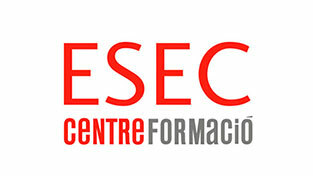 Center where taught the courses of Metallurgical Center.For more information, consult www.esec.cat.